A few days ago on June 26th, during the O’Reilly Factor seen on FOX TV, Bill O’Reilly made an extreme request. He asked the listening audience that maybe it was time to Boycott Mexico because of all the unattended minor children crossing our borders. You know, to stop buying products from Mexico and to stop traveling into Mexico. O’Reilly got me thinking. Should we Boycott Mexico because of the innocent children entering the United States or boycott Mexico because of the cartel drug trafficking? When was the last time you visited Mexico? When was the last time you bought anything made in Mexico? When was the last time you purchased anything from Mexico? It’s been several years since we visited Mexico and it was on a cruise to Cancun. Fear of cartel activity has caused me to be more cautious in travelling into Mexico. I have had to buy items to decorate from a store in San Antonio that specializes in custom made, hecho en Mexico, objects. The avocados that I love to eat are a product of Mexico and so are the mangos and grapes. I use garlic, jalapenos, tomatoes, bell peppers, and cucumbers to prepare delicious meals. The grocery store where I shop also carries a large variety of peppers big and small and eggplant, which I never acquired a taste for. There is also a huge section dedicated to Mexican products like canned pickled jalapenos, whole or sliced, beans and salsa. All kinds of soda imports, candy, and other tempting sweet delicacies fill the shelves with items to load into your grocery cart. And of course how about the famous Texas Margaritas that, without Mexican Tequila, would languish. Doing some research, I discovered that Mexico is our 3rd largest export market for agricultural products, and we are their 2nd largest agricultural market. So agricultural trade with Mexico is a good thing. The following information is taken straight from the federal government’s website. The top export categories (2-digit HS) in 2013 were: Machinery ($38.5 billion), Electrical Machinery ($36.7 billion), Mineral Fuel and Oil ($23.0 billion), Vehicles ($21.6 billion), and Plastic ($15.3 billion). U.S. exports of agricultural products to Mexico totaled $18.1 billion in 2013, the 3rd largest U.S. Ag export market. Leading categories include: corn ($1.8 billion), soybeans ($1.5 billion), dairy products ($1.4 billion), pork and pork products ($1.2 billion), and poultry meat (excluding eggs) ($1.2 billion). The five largest import categories in 2013 were: Vehicles (cars, trucks and parts) ($59.6 billion), Electrical Machinery ($57.4 billion), Machinery ($42.6 billion), Mineral Fuel and Oil (crude) ($34.8 billion), and Optic and Medical Instruments ($10.7 billion). U.S. imports of agricultural products from Mexico totaled $17.7 billion in 2013, the 2nd largest U.S. supplier. Leading categories include: fresh vegetables ($4.6 billion), fresh fruit (excluding bananas) ($3.1 billion), wine and beer ($1.9 billion), and snack foods (including chocolate) ($1.5 billion). Let’s boycott all illegal drugs coming from the Mexican cartels. How many times have we read, have we heard let’s abolish the Education, Environmental Protection Agency departments and the Federal Reserve? It hasn’t happened! But in 2012 the Obama Administration quietly let the 19 year old National Drug Intel Center just fade away. This department identified and tracked drug trafficking throughout the United States and how it connected with street gangs and terrorism. According to a Judicial Watch 2012 report, the NDIC also determined: that Mexican drug trafficking organizations represent the greatest crime threat in the U.S. and that cartels have expanded into every region of the country, including idyllic rural areas. This was reiterated by federal authorities less than a year ago in a court case that outlined how Mexican drug cartels have teamed up with violent street gangs to operate in the United States. Wouldn’t it make more sense to BOYCOTT drugs coming into the United States making it difficult for our people to acquire this poison that is infiltrating so many American families? If there would not be a demand for drugs, then there would not be the supply that is entering in staggering amounts. 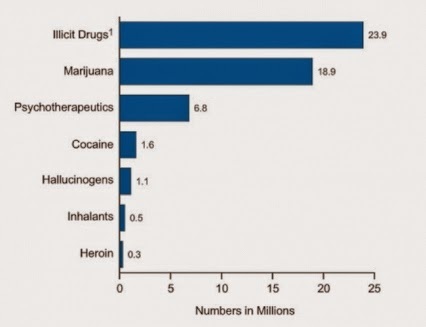 Drug use continues to escalate with marijuana being the ‘illicit’ drug gaining more and more popularity. The National Institute on Drug Abuse noted that marijuana is the stepping stone to harder drugs. In 2012, it was estimated that 23.9 million Americans from the age of 12 and older used some sort of illicit drug or psychotherapeutics e.g. prescription drugs. In the same 2012 survey, what was surprising is the fact that drug use among ‘older’ 50 – 54 year olds is increasing. Shouldn’t we question why the Obama Administration abolished a department that tracks drug trafficking and the gangs and cartels associated with this illegal activity at a time that our drug consumption is on the rise? But the department that centers on the abuse and use is still in existence? Is he waiting until all of America is under the influence of some sort of drug? It is the drugs that cross our borders that are drowning and consuming us. Where is the OUTRAGE?!? Why do we even listen to Bill O’Reilly or for that matter any of the TV or talk show hosts? 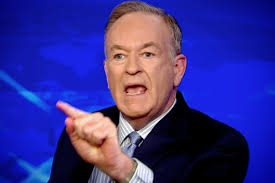 O’Reilly, a Catholic, at times goes against the Church, kisses up to Obama to get him on his show, never lets his guests speak without interrupting and is totally arrogant. What is it, we can’t make our own decisions; have we lost all critical thinking or plain old common sense? These celebrities are just entertainers, trying to make a living, trying to out sensationalize each other in order to stay on top. Others who have lost their way include Rush Limbaugh, and recently Mark Levin encouraged a very risky constitutional states convention. Alex Jones of InfoWars has always been seen as someone on the ‘fringe’ and not always a credible source of information. Just because they claim to be conservative doesn’t make them so, and it doesn’t make them right!